The 12 site Flo-N-Gro system with the Oceanus 1® controller is designed to be simple to use. 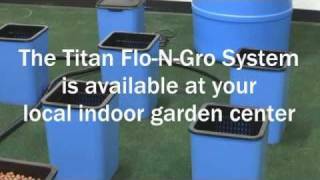 The system allows the grower to have the flexibility of an ebb and flow garden with minimum maintenance of their hydroponic system. 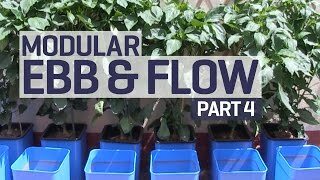 Check out my Yolo Wonder sweet peppers in my modular ebb and flow hydroponics system using General Hydroponics Flora Series advanced hydroponic nutrients. I harvest my first few green peppers, diagnose some pepper sunburn and deal with hot temperatures.